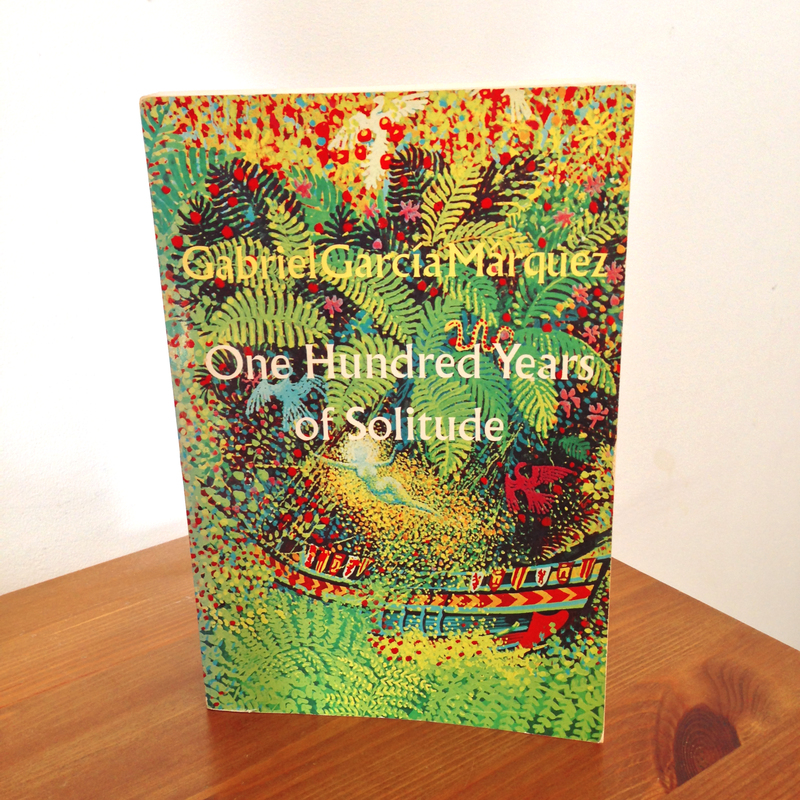 So, One Hundred Years of Solitude is my favourite book. I mean obviously that’s a loaded statement, there are so many books that I love, so many that have moved me, changed the way I think and the way I look at the world. But the way he writes resonates with me so perfectly. It’s like his writing style fits my mind like a glove. Anyone who similarly loves this book might notice that it’s where I got the name for this blog. One of the characters, Mauricio Babilonia, is constantly followed around by yellow butterflies. He’s this lustful character who shamelessly seduces one of the other characters. Don’t infer anything about me from that by the way. The reason the butterflies caught my attention is simple, and I think its tied into why I love this book so much: I first read is while I was in the Amazon rainforest. That’s a bad mobile phone shot of the view from the living room of the place I stayed. The vivid language, the colours that he creates in your mind, they were just perfectly aligned with what I saw every time I looked up from the book. The place you’re in – whether physically or mentally – can really affect how you experience a book, and for me, this was perfect. It took me a long time to finish as I was volunteering so didn’t have much spare time to read, but that drew it out and left me time to think over and re-enjoy the story as I went. The reason I liked the bit about the butterflies so much is that there was a research project being conducted on them while I was there , and I learned that butterflies are disgusting. The things they eat are just horrendous – rotting, rancid, dirty things. So after a long day of baiting butterflies it was funny to come back and read about a swarm of them following this guy around. Plus, we were going up river one day and saw a yellow spotted tortoise absolutely surrounded by yellow butterflies. This book is connected to so many parts of that life changing, incredible trip, quite apart from the fact that it’s also one of the most wonderful books I’ve ever read. 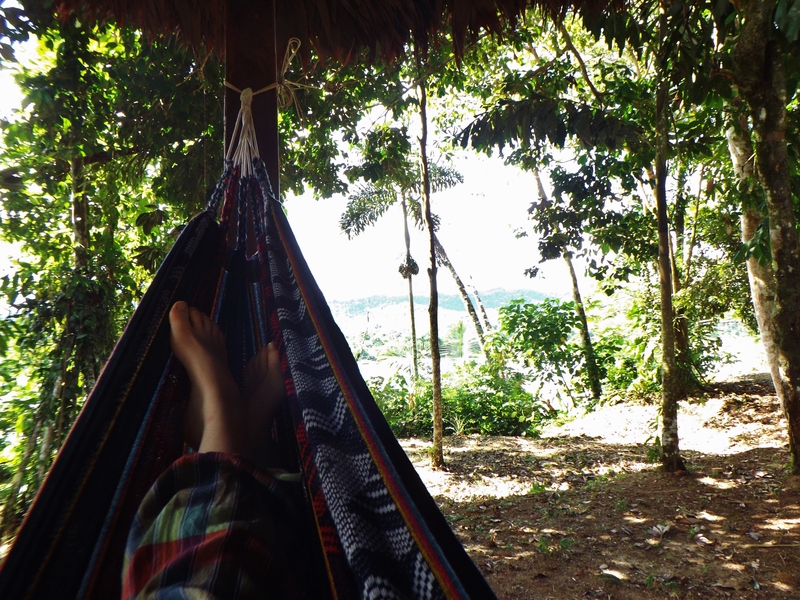 Another photo of me relaxing in the jungle. This is the only other one – I did work hard, honest! 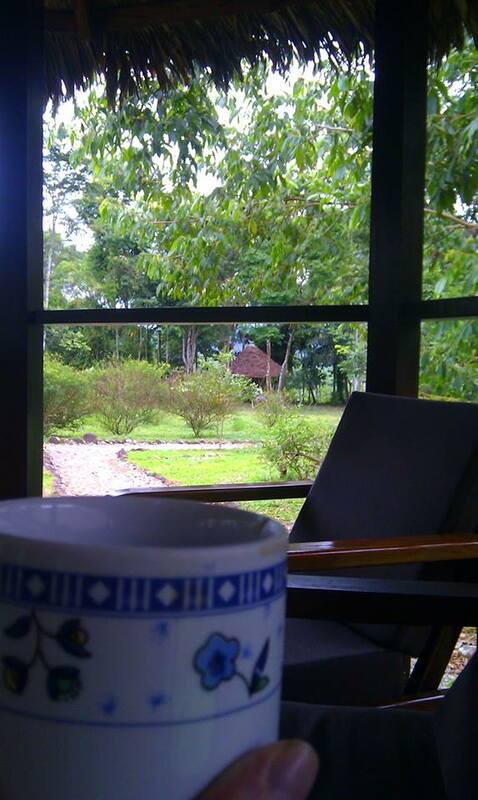 There’s a magic about the jungle that I think goes perfectly with the magical realism in One Hundred Years of Solitude. Different, obviously. But when you’re there you can’t shake this feeling of wonder, at every new sound you hear and thing you see. You accept the reality of things you’d never even think about normally (snakes, birds, insects, jaguars…) things that seem so far removed from your normal everyday existence. And the same is true for the book. The way the magical realism is presented is just like like that, you accept it, enjoy it and engage with it, never thinking about it as if you’re looking from the outside in. So there it is! Happy World Book Day, I hope you’re treating yourself to a few new ones to celebrate. And if you are, I can’t recommend this one enough. Unless you’re going to find yourself in the Amazon Rainforest soon, in which case there’s a dog-eared, humidity damaged copy waiting there for you already. This entry was posted in Book reviews and tagged 100 Years of Solitude, books, jungle, world book day. Bookmark the permalink.